This pesto is soooooo good! I have been working on this recipe for a little while now and I am so pleased with the way it has turned out. We ate it for dinner tonight, stirred through some wholewheat spaghetti and spinach. Everyone had clean plates by the end of the meal! My (non clean eating) Husband even announced that this is now his new favourite Clean Eating meal! What a result! Homemade pesto will always taste better than shop bought pesto. You cannot beat the fresh taste of the herbs. If you have a food processor you can make this in less than 5 minutes. It is so easy and so worth it! 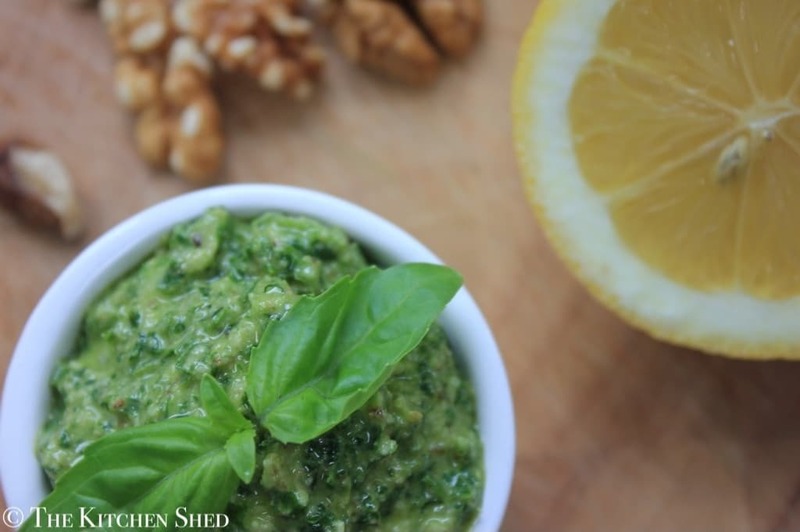 Clean Eating Kale, Walnut and Basil Pesto is fresh and zesty! It is quick and easy to make and tastes amazing stirred through some wholegrain pasta or spaghetti. This recipe serves 4 and when I stir it into pasta I add 1/2 tablespoon of Nutritional Yeast per person. You could alternatively use parmesan cheese. If you haven’t ever made your own pesto before, give it a go! You will love it!! 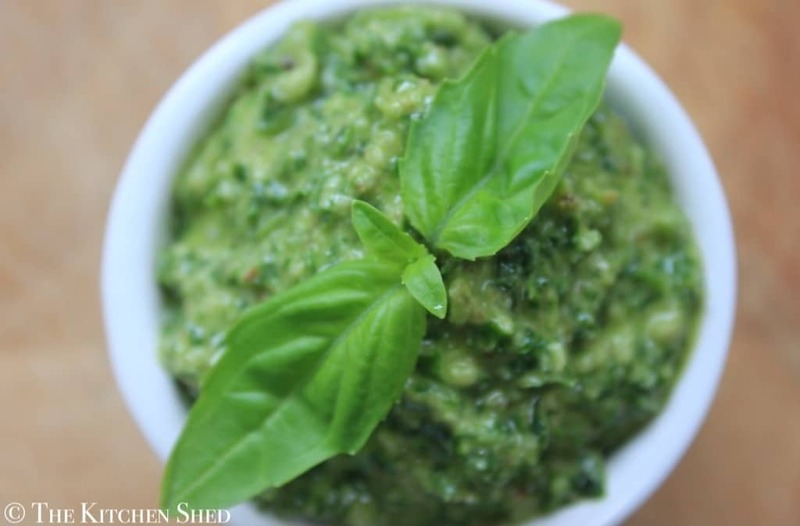 What is your favourite flavoured Pesto? 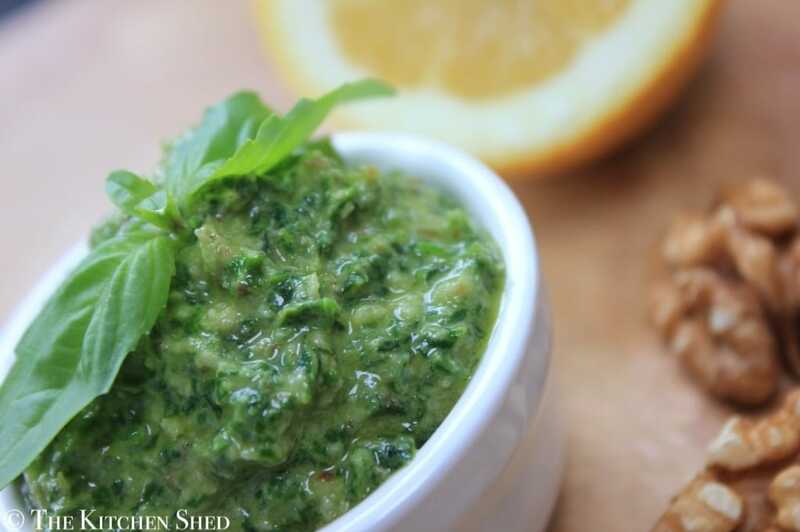 Clean Eating Kale, Walnut and Basil Pesto is fresh and zesty! It is quick and easy to make and tastes amazing stirred through some wholegrain pasta or spaghetti. Place the walnuts into a food processor and blend until they are very fine. This takes a minute or so. Add the kale and the basil to the food processor and blend until everything is broken up and well blended. Add the lemon juice, olive oil and sea salt to the food processor and blend. You will need to scarp down the sides a couple of times, then continue to blend until everything is well incorporated. Use 1 Tablespoon of pesto per serving. Serve and enjoy. This is an awesome pesto recipe, Charlie! What would you recommend using, parmesan cheese or nutritional yeast?